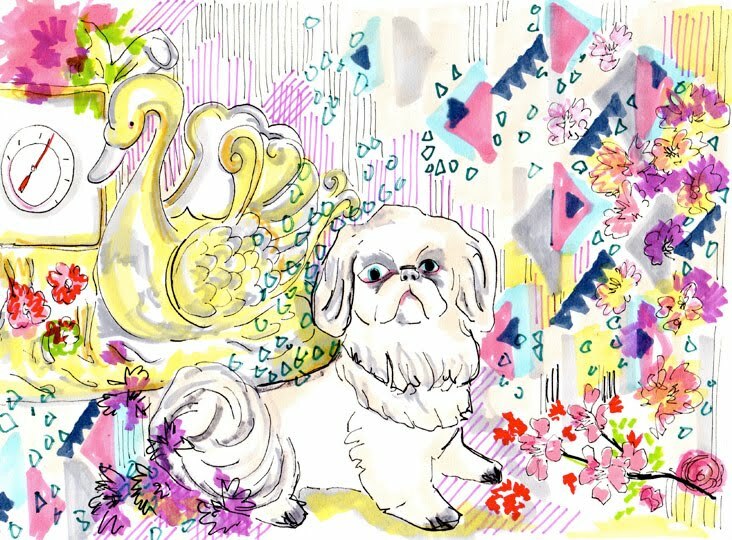 March 18, 2014 in "Print & Pattern", "china poodle", "dog portrait", "flowers", "kitsch", "pattern", "poodle", "spots", "vintage ornaments"
Yesterday had a few unexpected surprises, which made Monday a good day. A feature on my new floral doodles and embroideries over at Print & Pattern kicked things off. It's always nice to get some good press, especially from a blog that you follow and look at regularly.